The Washington Post reports, "Chinese leaders are becoming increasingly alarmed about the coincidence of its economic slowdown and the trade war with the United States, with a state mouthpiece on Friday exhorting hundreds of top Communist Party cadres to maintain their 'energetic and tenacious spirit of struggle.' 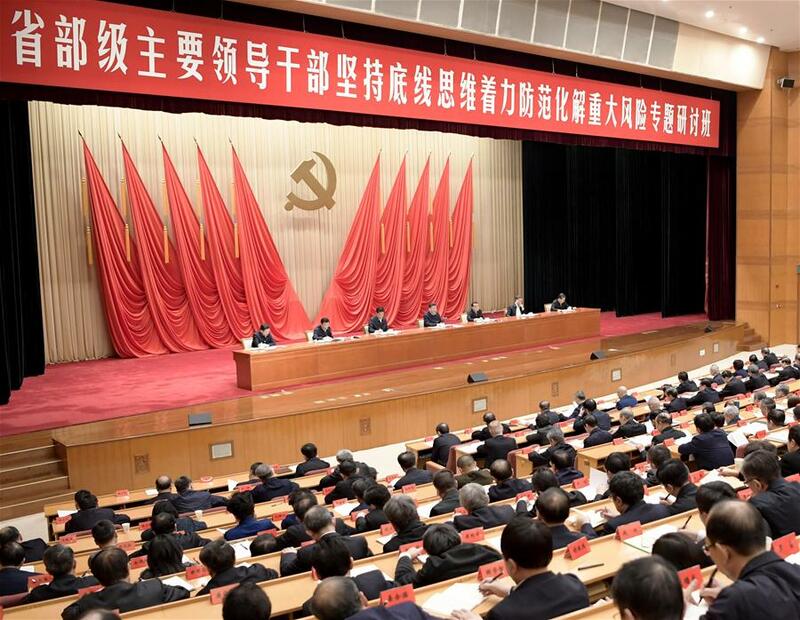 Top officials attended a surprisingly long four-day study session this week, which ended with senior official Wang Huning telling them to get ready to deal with 'major risks.' 'We should strengthen our sense of responsibility and purpose, and go all out to fend off and defuse major risks,' Wang told the cadres, according to reports in the state media. At the start of the study session, President Xi Jinping said that China must be vigilant about 'black swans' — improbable events with severe consequences — and 'gray rhinos' or threats that have been ignored." Reuters reports, "U.S. billionaire George Soros' criticism of Chinese President Xi Jinping was 'meaningless', China's foreign ministry said on Friday, after the investor and philanthropist called Xi the world's most 'dangerous opponent' of open society. Soros, who promotes liberal causes through his charities, said during a speech on Thursday at the World Economic Forum in Davos, Switzerland, that China was the wealthiest, strongest and technologically most advanced authoritarian regime in the world. 'This makes Xi Jinping the most dangerous opponent of open societies,' Soros said. Foreign ministry spokeswoman Hua Chunying, asked about the comments, said remarks by some individuals that 'invert right and wrong' were 'meaningless and not worth refuting.'" Bloomberg reports, "A top Chinese regulator said more approvals will be given in the next six months to global banks seeking majority ownership in their local securities ventures, as authorities vowed to allow foreign firms greater access to its $40 trillion financial sector. 'We do have a few companies in the process of applying for 51 percent,' Fang Xinghai, vice chairman of the China Securities Regulatory Commission, said Thursday in a Bloomberg Television interview with Haslinda Amin on the sidelines of the World Economic Forum in Davos, Switzerland. 'In the next six months you will see more licenses being granted.' Chinese officials have repeatedly stressed their determination to press ahead with opening up the country's financial sector to international companies."